Superdrug has bought out a whole new range of body creams, lotions and body butter and we were lucky to be sent a package full of them from Superdrug as part of their Blog Squad. I have really dry skin and I have just got back from a Holiday in Turkey, so my skin is more dry than normal. I was more than happy to have the chance to review these. We were sent two moisturisers from this range, they are both thick like body butter and they go into the skin so easily. I love body butter because they are thicker than normal moisturisers and they are more intense. The range has 5 different flavours to choose from and we were sent Avocado butter and Cherry butter. The cherry butter is pink in colour and smells very sweet whilst the avocado butter is fresher and more awakening. Because the butter is so thick, you don't need to use too much of the product and they are in an easy open pot. They contain natural products The jar and lid are recyclable and the card can also be recycled, so it is an all-around product that is friendly to the planet as well as kind to your skin. I loved these products because they seem so natural and there is nothing better than putting natural products on your skin. Use these moisturisers as part of your daily skincare routine. These are £4.99 each and are on a buy one get one half price offer. This is a skincare range that is also new to Superdrug and comes under their own brand label so you can be assured that it is cruelty-free and comes under the 100% money back guarantee if you don't like it. Coconut has been well known for its moisturising properties and these products are combined with the added ingredient of oat too. Oats contain a natural cleanser and they remove dead skin cells, so these ingredients combined together work well on really dry skin. I was sent Moisturising Oil Enriched Cream, Moisturising Softening Cream and Softening Moisturising Daily Lotion. The Moisturising Softening Cream This is a thick moisturiser in a tall bottle and it didn't come out really easily when I squeezed the bottle to get some out. I think this would be difficult to get to the bottom of the cream when its nearly finished. Use this after you have had a bath or shower because the pores on your skin are open and the moisturiser will absorb better and will be more beneficial to you. It moisturises for 24 hours, so you would only need to apply it once a day. 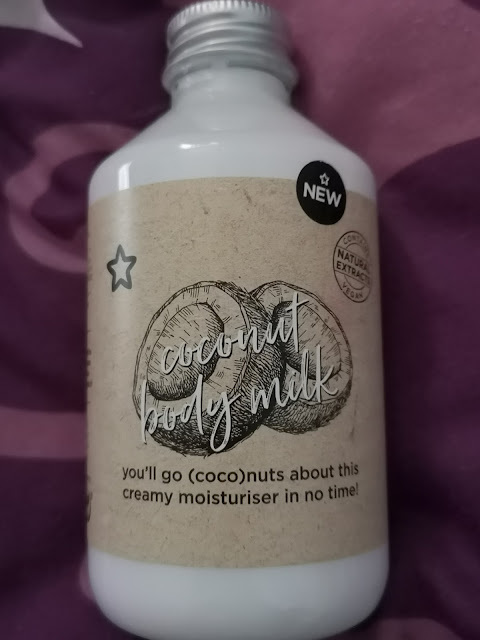 This moisturiser smells more of coconut and feels silky to wear. It's not greasy and absorbed into the skin really easily. 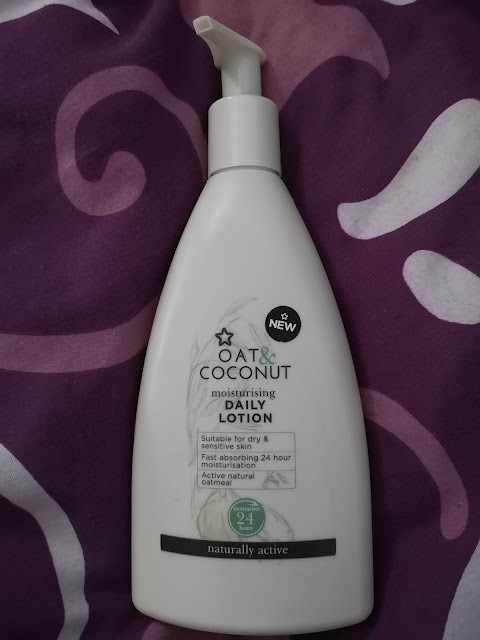 Moisturising Daily Lotion is a pump bottle which is excellent for use when you are rushing around and getting ready in the morning or evening. 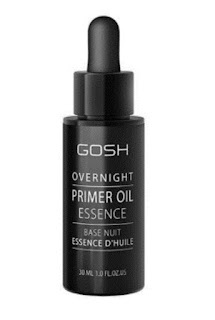 It is a 24-hour moisturiser, so you only need to apply once a day - perfect for people that are always in a rush. It smells of coconut and absorbs really quick into the skin. It isn't runny like a lot of moisturising lotions on the market, and as its a 300ml bottle, it will last a long time so you get your money worth in this lotion. Again apply after having a shower or bath, to get the maximum benefit of absorption into the skin. This is £5.99 for the moisturising lotion. We Heart Moisturisers Body Milk is a really runny moisturiser and went everywhere when I tipped the bottle to pour it out. 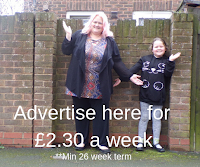 It meant that I wasted some of it and as its £4.99 then it's not a cheap product to waste if you are on a budget. 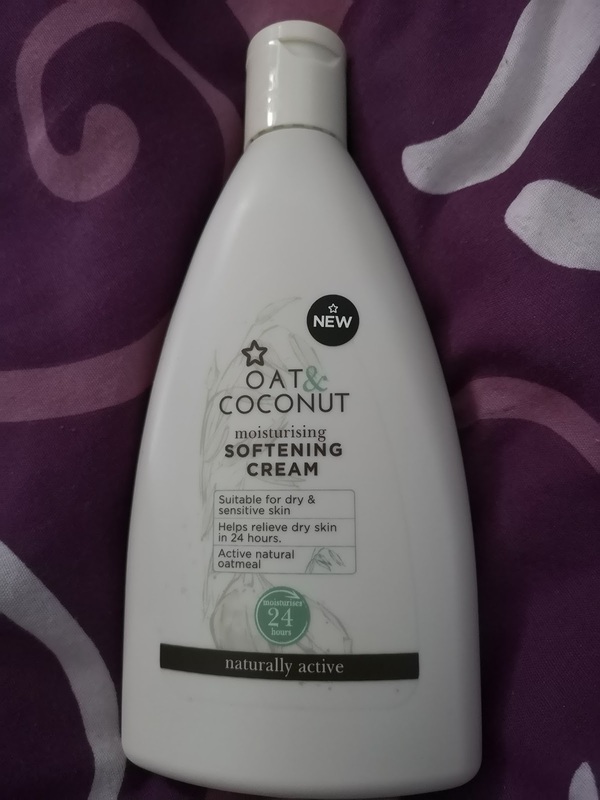 It smells slightly of coconut and is more runny than creamy but also felt greasy on my skin. After using the other products, I felt that this moisturiser wasn't as good as the others. It is vegan-friendly and made with natural properties and comes with the 100% money back guarantee. 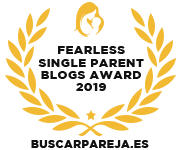 Of all the products in this blog post, I would buy The Moisturising Daily Lotion, The Moisturising Oil Cream, The We Heart Moisturisers Avacado Butter because I liked them and they suited my skin. I wouldn't buy the We Heart Moisturisers body milk because it was too runny when applying it. I wouldn't buy the We Heart Moisturisers Cherry Body Butter because it was too sweet for me, but I would try other varieties of the butter in the range. And I felt that the Moisturising Softening Cream was too thick for the bottle and not easy to get out and apply. You can find all of these products in Superdrug.